Lunatic Laboratories We're a little crazy, about science! Vermont, not quite the armpit of the United States, but not a place I would live [personally speaking of course]. Still, looking at history Vermont was the first to ban slavery [good], but now they are the first to do something else too, they are looking to ban all food that is genetically modified if it is not properly labeled [bad]. This bill is set to start a wildfire across the US with food scares, like any science scare, is easy to start and hard to stop [if at all]. Genetically modified food has helped cushion the ever growing population and the need to feed that population. People will [undoubtedly] argue otherwise, but all food is genetically modified one way or another. In fact, breeding selection [a form of genetic modification] is what caused the Irish potato famine. Before it hit they only had one type of potato growing, thanks to genetic modification they were able to feed everyone [until the potato blight hit, a lesson in diversification learned the hard way no doubt]. Any time the general public hears that science has done something [“unnatural”] to food, or in fact anything, it causes a panic. Much like climate change deniers and anti vaccination lobbyists there is no amount of proof that can be shown to sway their minds. Apparently manually doing what nature does is less than the natural version or some how a bastardization of nature. Something that should be seen as “unsafe” and “scary”. GM food shouldn’t scare people, nor should vaccinations. Obviously the problem lies with the lack of scientific understanding by the general population, along with the marking campaigns from the people fanning the flames of fear. 1. Creating a controversy does nothing for the general public but spread fear, misconceptions, and confusion. 2. The idea is to somehow “save” people, in fact the movements are hurting, if not killing people. 3. In the case of vaccination, the argument is that big pharma is somehow hiding the truth to cash in on vaccinations. The truth is they make around 1% of their profit from vaccinations [ you can do the math from this link which shows the cost of vaccinations and this link which shows pharmaceutical company revenue]. They would make far much more money if vaccines were given daily, weekly or even monthly, like for example, how the bulk of medications are given, which is also where they make most of their money [note that it is no more than any other company]. 4. Controversy makes money, for the people making the controversy, look how many alternate treatments have come out of the vaccine autism debate. The people cashing in are the people selling the snake oil in a manufactured crisis, killing innocent people and spreading false hope in the process. No one has died from genetically modified food, no one is sprouting extra arms, legs, or heads [which is a shame because more brains would be a welcome]. But there are millions of people dying from malnutrition around the world, malnutrition that can be prevented with the help genetically modified food can give. It hurts to see these technologies being shielded from the people who need them the most because some organic lobby group [who is cashing in big on this] is trying to create something that isn’t real. 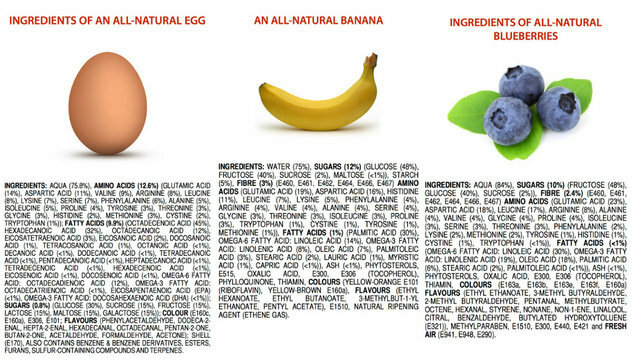 Labeling GM food is sending a message to people suggesting that it is somehow less than “normal” or less than the new great thing “organic” foods [whats an inorganic food?]. It causes unneeded fears and helps spread misinformation. Which is exactly what the organic lobbyists want. The worst part is, even if other food lobbyist groups step in to try to fix this problem and remove the GM label, it will look like they have something to hide or that they are trying to cover up some greater truth. It was a perfectly played game and I do believe the organic group just called checkmate. Unfortunate for all the starving and malnourished people in the world, but someone is getting paid so I guess that is what really matters. Want to find out more? You can read the study where I pulled some of the information from this fine [albeit highly opinionated] piece —here! What happens in the Lab doesn't have to stay in the Lab! This entry was posted on May 11, 2014 by FullMetal. It was filed under News, Politics and was tagged with education, Genetics, global warming, GMO, peer reviewed, political issues, pseudoscience, science. I think Human being are breaking the Natural cycle of Nature and we may pay a big Price one day. Fair enough, honestly I think we are just accelerating nature. The problem with that of course is that we need to be able to keep up. We are after all humans and are finicky with where we can live, like with the temperature and that whole needing to breathe oxygen thing [but that is overrated anyway, so I’m told]. Notify me of new comments via email. Notify me of new posts via email. Follow us on Facebook, or else. Lunatic Laboratories is licensed under a Creative Commons Attribution-NonCommercial NoDerivs 3.0 Unported License.